If you had always been an online shopping extremist its time you loosen up a bit. Today, you may easily shop safely and securely through the Web. All you require is to do some background research made make sure that the site you choose is highly acclaimed by the users. Simply type in the domain name and search for its review. Say for instance, if you want to search for ebay.in reviews, in the Google search bar type’ ebay.in reviews’ and get an instant review on the same. I have been an online shopping freak for a long time now. Trust me; you do not have to look for new shopping hubs online as it is pretty much safe to go through my list below. 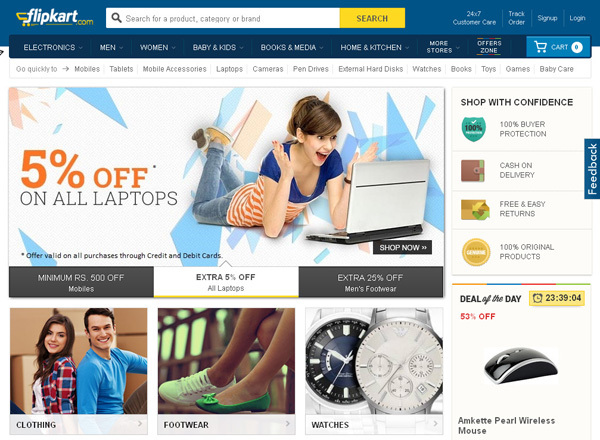 These are some of the best and reliable online shopping sites in India. Hang in there buddy! There is a slight hiccup. This page is written keeping women shopping enthusiast, sorry guys! eBay is one of the favorite sites among the ladies. All the products have almost 100% positive feedback. And if you fall under those picky and choosy customers, ebay is ideal for you. Picking a good seller is important because there are a lot of fraud sellers out there on eBay selling fake products. You can also shop for electronic items as you get pretty good deals on it. 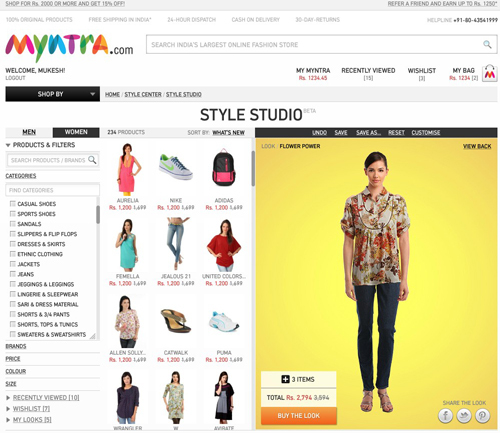 Myntra is best for shopping tops, kurtas and kurtis online for its rich varieties. Myntra takes orders from the remotest areas of the country and deliver it without fail. It offers its products at the best of discounts and high quality. It has fashionable collection of apparels and accessories for women like casual and formal shoes, footwear, shirts, t-shirts, bags, belts, caps, hats, fragrances, sunglasses, mufflers, wallets, watches, kurtas, sarees, churidars, sweaters, tops, tees, lingerie, sleepwear, cosmetics, perfumes, bottoms, jackets at an elegant look. Flipkart is all that you need to approach to if you are fond of book. The customer service is pretty awesome too. 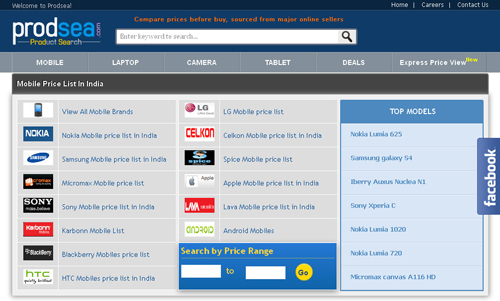 The site also offers god deals in mobiles, camera, laptops, watches, clothing, footwear etc. It offers its products at the best of discounts and high quality. The selection of clothes is awesome in Jabong. They stock some of the pretty and stylish apparels in there. 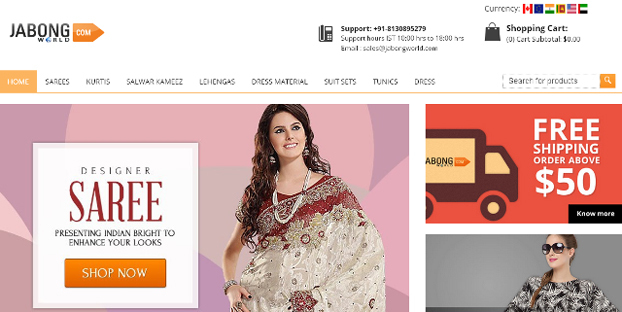 You also get some branded items like designer sarees from Indian fashion designers at affordable rates. They have the best products from all premium brands for the passionate women shoppers across the nation. Yebhi is another service that offers the best delivery option in time. This website offers a large number of branded clothing with the best offers and discounts. However, the selection is comparatively less compared to other shopping sites but you get pretty good deals here. Therefore, totally worth it! 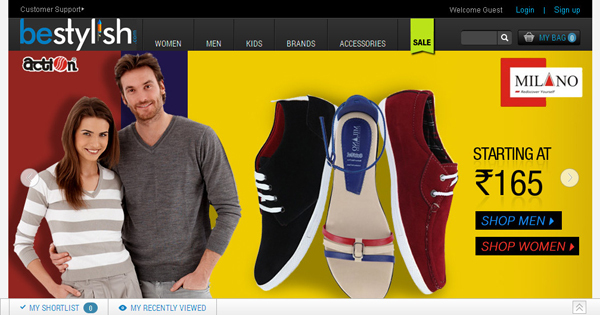 Be Stylish is India’s largest online shoe store. 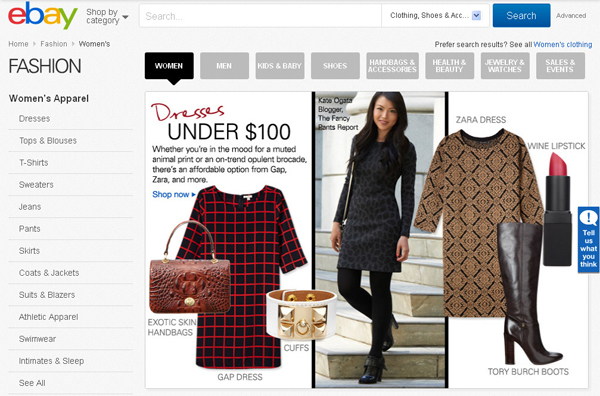 They store the best fashion offers around the world on a single platform. They mostly specialize in shoes, bags, wallets and belts that range from casuals to formals and much more. Besides top brands, latest styles and exciting promotions, they also offer more than 5000 styles across 100+ brands for the women folk. A reliable and user friendly store. 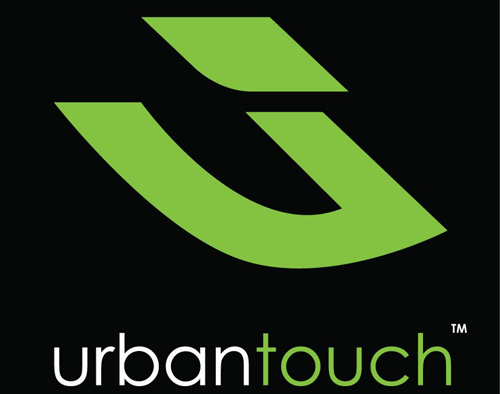 Urban touch offer fresh, light-hearted styles that are designed to appeal to the modern youth as well as to the mature, contemporary women folk. Their unique designs are skillfully crafted to reflect the intelligence, creativity and individuality of the clientele. Redefine your style in its classy cozy ambience online. It is reliable too. The deals are simply the best over here. To describe Zovi in one word, it is ‘different’. The items sold include apparel, accessories and more. They are now increasing their store product lines by displaying more stuff on their site. The accessory collection is superb too. The designs are pretty damn good. Their necklace pieces are very trendy though. They have a fresh and clean look on their stuffs. ProdSea (Product Search) is another awesome online shopping service displaying products for multiple sellers. They mainly deal with electronics, women, men, kids & baby, home & office, entertainment, health & beauty, gifts, food & drink with thousands of brands. You can filter products by brand, product types, seller, features etc. which makes it easy for customers to shop. The female section is pretty awesome too.